Chronic Logic News / Kingdom Elemental Updated, on Sale and Now on Steam! Kingdom Elemental has just been updated and is now available on Steam. Kingdom Elemental supports Steam Achievements and I am working on adding Leader Boards for Destiny! -Steam Leader board support partially added for Steam version. Kingdom Elemental with Steam Just $4.95! Chronic Logic News / Bridge It Plus released on Steam and on Sale! 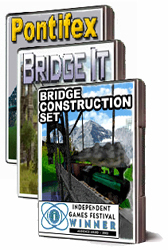 All Bridge Building Bundles now include Bridge It Plus with Steam and Desura Keys! AstroDriller3020 is on sale for only $2.95. Gish is on sale for the price that you choose! That's right you choose the price for Gish. All of games can be purchased as digital gifts. If you have a Steam account please vote and favorite Bridge It on Steam's Greenlight. Help us get Bridge It and future games onto Steam! 3. Several other minor bug fixes. 4. Several other minor bug fixes. If you have purchased Bridge Project you can download version 1.2 for OSX and Windows with your original download link. 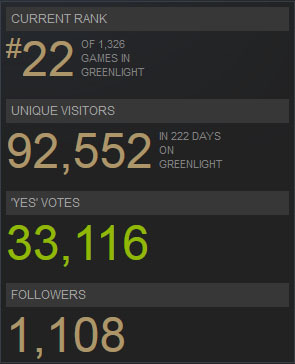 Bridge It is nearing the top 100 games on Greenlight but we need more help. Vote and favorite Bridge It on Steam's Greenlight to help put Bridge It and other Chronic Logic products on Steam! Please vote and help spread the word by posting to your Steam status, share on Facebook, Twitter or whatever you do! Chronic Logic News / 10/30/12 - Bridge Project now available! Bridge Project is now available for Windows and Mac! Are you ready for the next bridge building challenge? Build highly detailed bridges in beautiful landscapes and environments. You are tasked with constructing a huge variety of bridges. Build suspension and draw bridges, bridges made from stone, steel, wood, cable and concrete, bridges for car, trains, tanks and more. Are you up to the bridge building challenge? 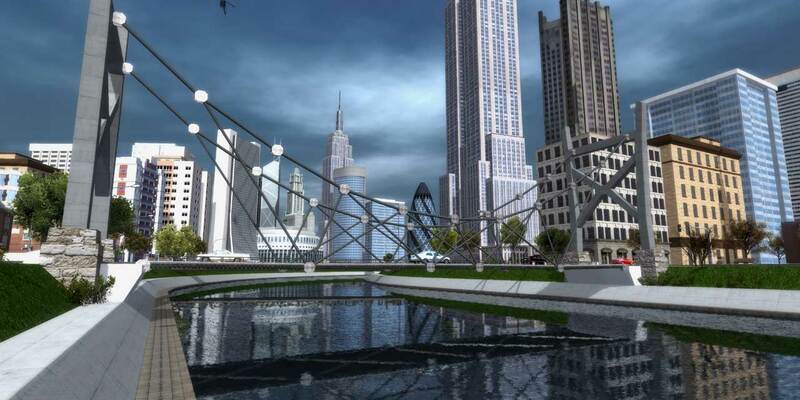 Enjoy the Bridge Project's high quality graphics and physics while putting your most spectacular bridges to the test. Download free levels from the global bridge builder community, and participate in world wide competitions. Upload your scores and compete in the global bridge rankings. All this and more in the brand new Bridge Project. Check out the Bridge Project videos, free demo and screenshots! Run BridgeIt.exe as an administrator and enter your keycode when prompted. You should now be able to run normally and not have to enter your keycode again. Chronic Logic News / 4/2/12 - Bridge It v1.2.2 and Bridge It Add-On Pack released! Chronic Logic is excited to announces that we have just released a new version of our popular bridge building game, Bridge It. The new version includes several minor improvements include a new options screen and proper file saving locations for the newer versions of Windows. More importantly we have just released the first Add-on Pack for Bridge It! Can you span giant canyons with heavy steel? Use giant towers to support your bridges from above? Build the biggest drawbridge yet? Get the Bridge It Add-on Pack with eight brand new bridge building challenges for Bridge It! The Bridge It Add-on Pack adds eight brand new challenging levels to Bridge It. If you have completed all the Bridge It levels and are looking for more challenges this is for you. Order the Add-on Pack and be playing the new levels in minutes. Now you can design anything from simple truss bridges to elaborate suspension or drawbridges and watch in glee as trains and automobiles successfully cross over them...or watch the whole heap of metal and cables collapse sending the trains and vehicles plummeting into the river below! The Bridge It Add-on Pack requires the full version of Bridge It. A stunning, beautiful world awaits as you take on the challenge of bridging the chasm. Can you solve the puzzles and avert disaster? Based on Chronic Logic's award winning Bridge Construction Set, Bridge It is has been re-designed to offer a improved interface, polished graphics and greatly improved visuals for your bridge building pleasures. Chronic Logic News / 12/7/11 - Bridge Building Bundle and Holiday shipping schedule! 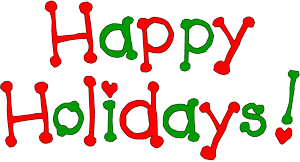 Happy Holidays from Chronic Logic! Still need to do some last minute holiday shopping? Trying to figure out a gift for the holidays? Get all three Bridge Building games together and save. Buy the Bridge Building Bundle and you will get Bridge Construction Set, Bridge It and Pontifex for the price of two games instead of three! 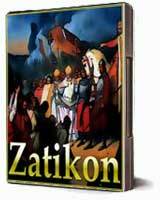 Get the brand new Zatikon Legions add-on pack now bundled with Zatikon Crusades and save. The Crusades and Legions packs are being sold together for only $12.95! Crusades combined with Legions unlocks over seventy new units in Zatikon. The new units include mighty Wyrms, crafty Shapeshifters, brave Horsemen, dangerous Archers, Relics and more. These units can be used in single player, vs, and co-op games. Gish isn't your average hero; in fact he's not your average anything. You see, Gish is a ball of tar. A Sunday stroll with his lady friend Brea goes awry when a shadowy figure emerges from an open manhole and pulls Brea into the ground below. Following Brea's calls for help, Gish suddenly finds himself in the subterranean sewers of Dross, a long forgotten city filled with twisting corridors, evil traps and some of the most demented creatures imaginable. With his gelatinous structure as his only means of defense, Gish must follow the echoing cries of his damsel in distress deep into the earth below. What freakish creatures dwell in this subterranean land? Who is Brea's captor? And just how far down does the rabbit hole go? This popular 2D platformer is currently available at a pick-your-own-price system. This means that during the purchase process you can literally plug in any value you would like to pay! No shipping time or extra costs, great for a last minute gift! Chronic Logic's gift order system allows games to be sent almost instantly to anyone on the globe. Game keys and download links arrive through email which means no shipping time or costs. Simply check the gift order box before purchasing any game. This will allow you to register the game to any recipient. The game information will then be emailed to you at which point you can forward it with your favorite E card or personal email whenever it is most convenient. Chronic Logic games can also be sent in CD form all over the global. U.S. bound CD purchases made before Dec 16th will be sure to arrive by Thursday or Friday of the following week. The new system is an Elo based system similar to what Chess uses. This should provide for a more balanced ranking system. We are also considering some kind of monthly ratings and depending on how much interest we get some possible prizes for the monthly winners as well. Please vote on a new multiplayer rating system. Chronic Logic News / 10/7/11 - Zatikon:Legions released! We are excited to release the latest Zatikon add-on pack. The Zatikon:Legions pack adds over thirty new unique and powerful units. Legions also introduces a new category of units called Relics. Relics allow you to customize your army even farther adding powerful abilities to existing units. Feel the rage of the barbarian, haunt your opponents with the possessed or take justice into your own hands with the confessor. Each unit has unique powers and abilities to provide even more tactics to a game already rich with strategies for victory. These units can be used in single player, vs, and co-op game modes. Not only have we released a whole bunch of new units in the Legions add-on pack but we have also been working hard on making the free version of Zatikon better then ever. Zatikon has been updated with new graphics, a cleaner interface, exciting unit changes, new game modes and more! Play Zatikon for free today! Construct your army out of creatures as varied as the magnificent dragon or mighty warrior to the evil necromancer or holy Templar. Destroy your opponent with a heavy cavalry charge or defeat their army before they can reach you with archers, crossbowmen and mages. Use an unlimited number of strategies to defeat your opponents and earn gold to increase the might of your army. Play Zatikon for free and start building your armies today! Zatikon is a free turn based multiplayer tactics game featuring over 30 unique units with over 80 additional units available in add-on packs. Build your army and defeat your opponent. With an almost unlimited number of possible strategies at your disposal Zatikon highly addictive and fun. 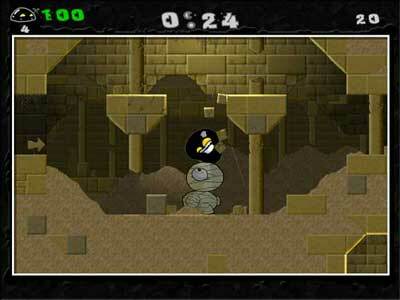 Zatikon includes online player ranking and several extra game types including co-op, single player and random army mode.